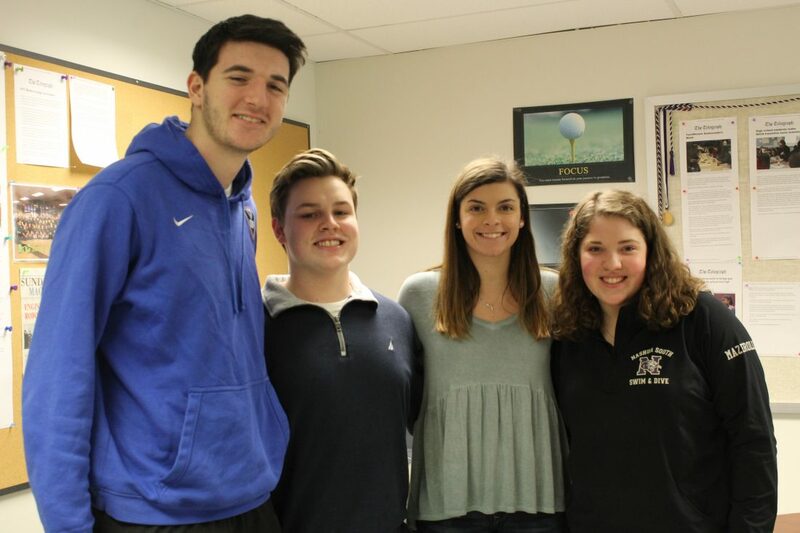 Telegraph photo by GRACE PECCI Nashua High School South students, from left, Roe Hendrick, Kyle Evans, Jo Coelho and Ainsley Mazerolle will all be participating in the 2019 Penguin Plunge next weekend to raise funds for Special Olympics New Hampshire. 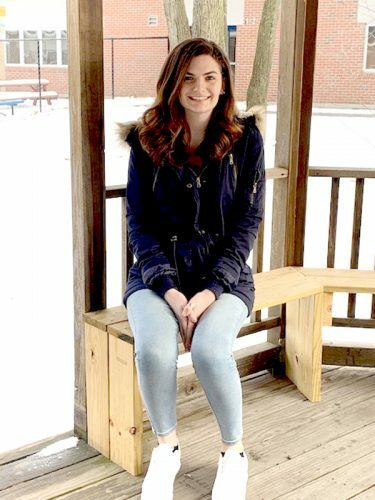 NASHUA – Students at both of Nashua’s high schools will be taking a dive into the cold waves at Hampton Beach during the Penguin Plunge next weekend to raise money for the Special Olympics New Hampshire. 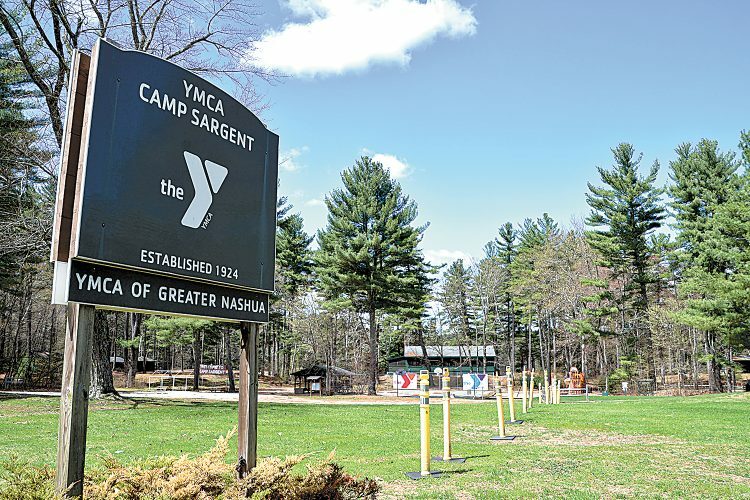 “It’s a really great cause for students and staff to participate in,” Mike McQuilkin, director of Nashua Technology Center South, said. McQuilkin will be participating in the plunge, along with about 30 other students and staff members from the school. The team began fundraising in November. Each person on the team has to raise a minimum of $200. The team already has more than $8,000. McQuilkin said this is the sixth year the schools have participated. Senior Kyle Evans is one of the organizers at the school and has worked to help raise funds. Evans said they were trying to get as many people as they could to join. He took to social media and went through his personal connections. The team has also made shirts and sold them at various games and tournaments, and had a “Jean Day” for staff to promote fundraising efforts. Evans’s team member, junior Ainsley Mazerolle, who has raised $2,300 for the Special Olympics, said the organization is one of her passions. Saturday, the team will join those from other New Hampshire high schools at Hampton Beach. Participants and their guests will first have a chance to relax at the Casino Ballroom before the plunge. At 11:30 a.m., a costume parade will take place at the ballroom. After the parade, participants will get ready for the plunge. The students will be assigned to compete in different waves so that not everyone is competing at once. After they take a dive into the freezing cold waves, participants will each receive a towel and will be able to change. They will then go back to the ballroom for lunch. Awards will be given to the person who raises the most money, the school that raises the most money, the school with at least five participants with the highest per plunger average for fundraising, the best individual costume, and the best school costume. To help Nashua High School South, visit https://www.firstgiving.com/team/380984. Grace Pecci may be contacted at 594-1243, or or gpecci@nashuatelegraph.com.